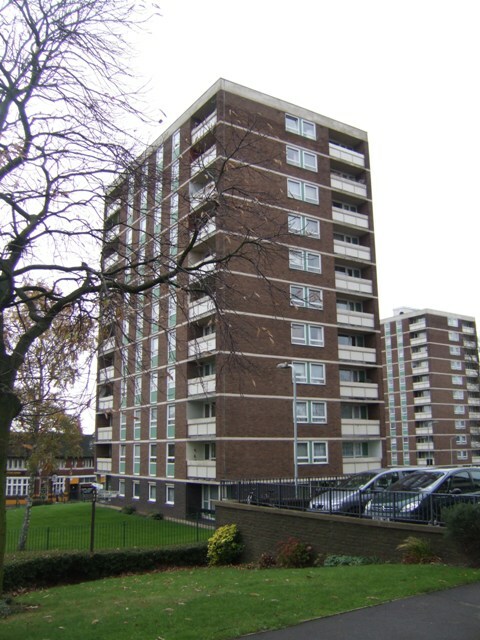 One of five blocks of flats on the 1960s Boscobel Estate. The Lane family of Bentley Hall were instrumental in the escape of King Charles II in 1651 following defeat at the Battle of Worcester. The king hid in an oak tree at Boscobel House in Shropshire. University Campus as well... Educated lot these Tatters. The towerblocks are University, and the Uni is under that stand as well.